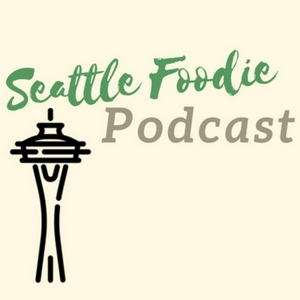 In the 32nd episode of the Seattle Foodie Podcast, we chat with Seattle Foodie Couple, Luna and Brad Housman (@tspyumofseattle/@bradleyhouse). Luna and Brad tell us their favorite spots around Seattle and Portland as we discuss the food scenes between the two states. Plus, Luna talks with us about the art of meal prepping and she shares with us some of her tips for keeping meal prepping fun and exciting. In addition, Monica and Nelson recap an eventful last week, which included Wednesday Ramen Night at Adana with Steph Forrer and Justin Oba, a review of Watson's Counter in Ballard, tackling the Super Bowl at Dong Thap Noodles, sampling chutney from Picoso Products, and a Bon Voyage party for @forkdeep (aka Kosa) in South Lake Union. Finally, we tell you about several events this week which includes a pre-order for @grubbinseattle's new book, Seattle Food Crawls: Touring the Neighborhoods One Bite and Libation at a Time!, Dining Out for Life, Latinx/Filipinx Late Night Eats at East Trading Co., the Mobile Food Rodeo in Fremont, and the soft opening launch of Spice Waala. Thank you for listening and we hope you enjoy our latest podcast episode!